I was in such a hurry to give it to her I forgot to take any pictures of it. But this weekend we went up to stay with her, and the sun was shining so I was able to get some better shots. 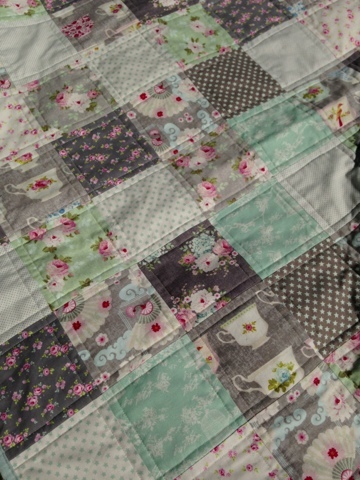 The quilt was made from two charm packs of Winter Memories by Tilda, and the muted colours are perfect for my mums room. The back is made from a brushed cotton sheet which was also wrapped round to make the binding. 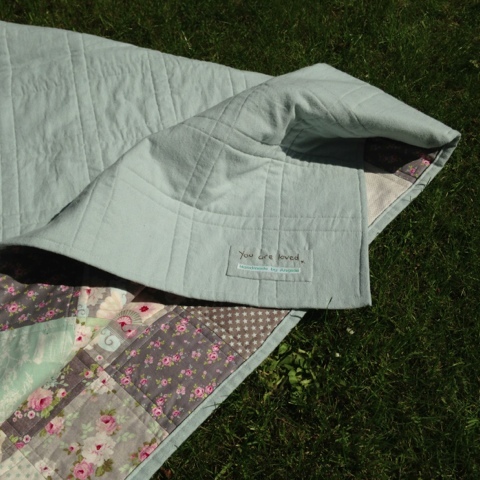 The over all size of this lap quilt is 1m x 1.25m, so it will fit on a single bed, or be perfect for on the sofa. I quilted it with simple straight lines about 1cm away from the seams. 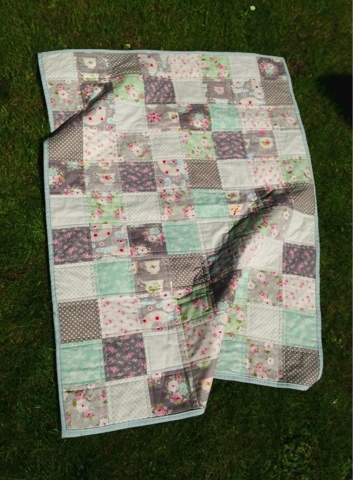 I much prefer this than 'stitching in the ditch' as you get to see all the quilting properly. I finished the quilt with a little message for mum, to remind her always.